Realizing Stuff with Kara and Ryan | Listen Free on Castbox. We're two nobodies taking on the biggest family in the world. 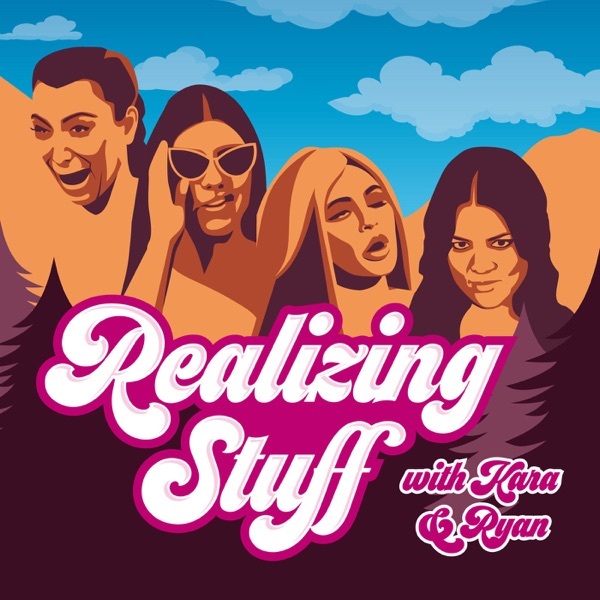 Meet Realizing Stuff with Kara and Ryan, an exploration of all things Kardashian and Jenner, with a bit more pop culture mixed in! With Keeping Up on a break this week, we discuss all the headlines in the Kardashian universe! Kim reveals her new passion project, Kourtney turns the big 4-0, and baby True has the most awkward birthday party ever. This week, North finds out what it is to be famous, Kourtney deals with the harrowing experience of making a decision, and Kimye hit a rough patch! Plus, we review Poosh and discuss the renewal of Keeping Up! "My Name is Kim Kardashian." We're back! This week we recap the season 16 premiere of Keeping Up with the Kardashians, Kanye and Kim's relationship dynamic, how the show has changed, and Kim reveals her favorite child!